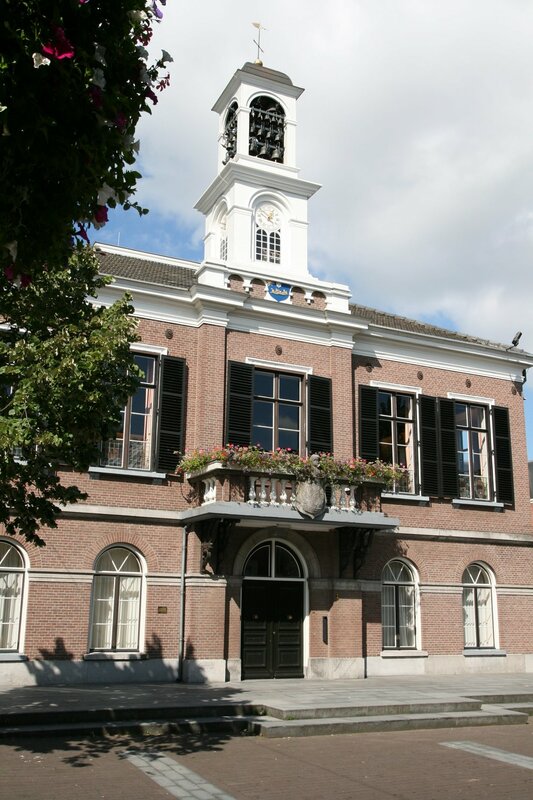 The municipality of Barneveld has almost 55,000 inhabitants. Its splendid historical town hall houses the municipality’s imposing council chamber where for years a beyerdynamic MCS100 conference system has been used to everyone's satisfaction. 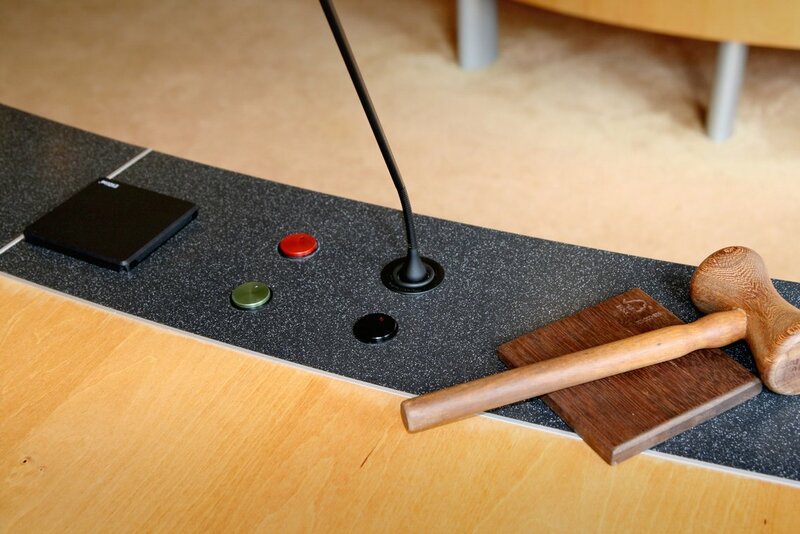 When it became clear last year that, after many years' use, the system needed to be replaced, the choice was rapidly made for the new Orbis conference system – also from beyerdynamic – which, besides providing a reliable solution, also meets the needs of a modern meeting environment. The Barneveld council had an ambitious wish list. The new system had, of course, to produce excellent sound quality, but it also had to meet their future requirements with regard to online broadcasting; the controls had to be user-friendly; and the design and style of the system had to be suited to the interior of this classical building. After an exhaustive test, it was the Orbis system that met all the requirements. The sound quality exceeded all expectations and there was no interference from mobile phones and tablets. The standard Cat5 cable for the wiring reduces the costs and makes future servicing very simple. The microphones have been tailor-made and fit seamlessly in the existing set-up. In addition, it is possible to link the central control unit to a video system, so that in the future it will be possible to stream meetings online with image and sound in real time via the network. 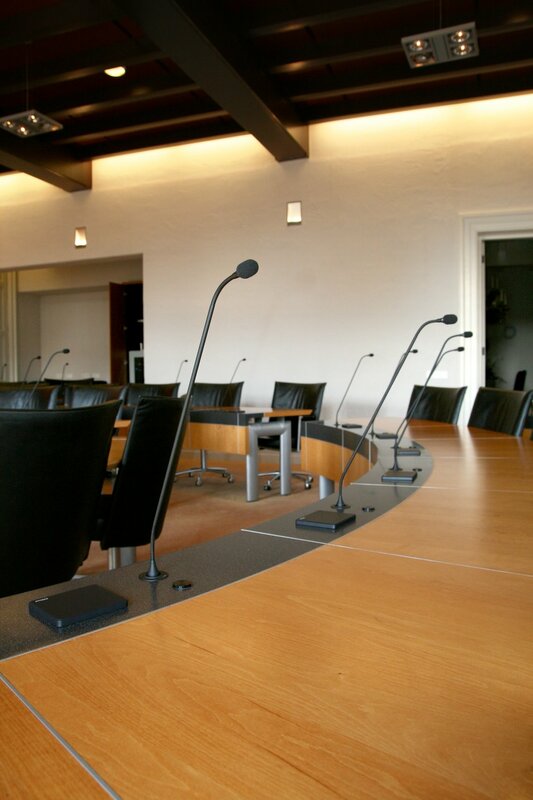 Barneveld council opted for an Orbis wired system from beyerdynamic with 42 swan-neck microphones, each with a length of 60 cm. A DSP (Digital Sound Processing) is also part of the solution. The DSP ensures that the sound, and therefore the speech intelligibility, is optimal in the chamber, on the recording and also for (online) broadcasting. The Orbis conference system was installed by one of our established partners, the Barneveld-based company AVisie. Erik van Steden, clerk of the Barneveld council comments: "We are very satisfied with the sound quality of the system and the ease of operating it. We now have a future-proof system, where the project costs have remained well within budget." Source: Electric Sound Benelux B.V.